The Warner Bros. panel isn't until tomorrow, but already we're getting rumors about the upcoming Joker film. Yesterday we learned Deadpool 2 Zazie Beetz was in talks to join Joaquin Phoenix, and now a rumor from That Hashtag Show has additional plot details. Or so they say, remember to take this with a grain of salt. 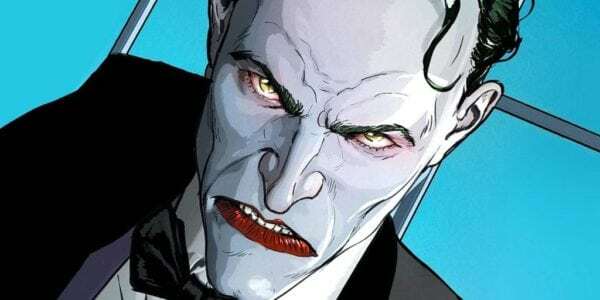 So their rumor goes that Joker's actual name will be revealed as Arthur Fleck. That's a pretty big deal because he's never had one in all of his years in the comics. Arthur will return home to care for his aging mother Penny, who was once beautiful and obsessed with her former employer, who may turn out to be Bruce Wayne's father, Thomas Wayne. The site begins theorizing that Arthur may be Wayne's son, which could be accurate since Wayne is expected to have a large role. Arthur eventually meets with single mother Sophie Dumond, the love interest character Beetz would be playing. Not much of this scans to me, and I'm hoping we get more solid info during tomorrow's Comic-Con panel.